Today, I planted an indoor italian herb garden. Fresh herbs improve any dish and it’s easy to plan your own indoor garden. 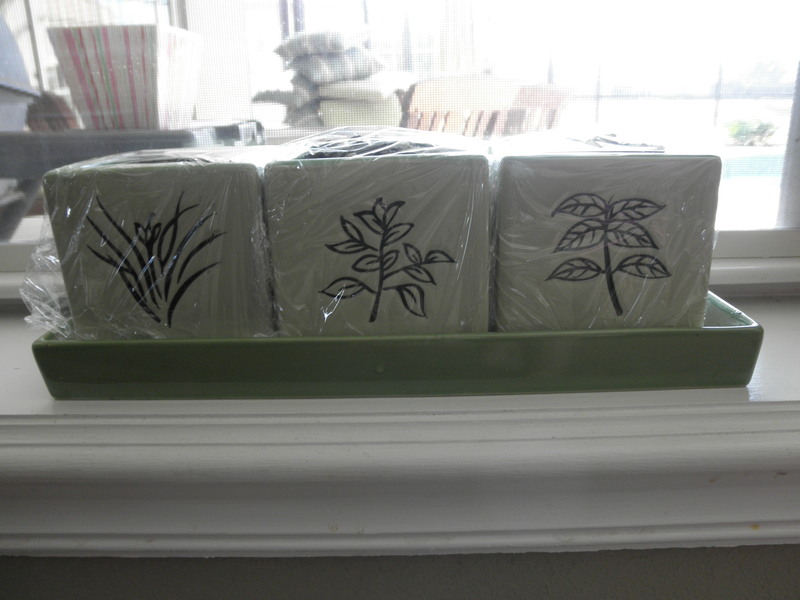 Of course, you don’t need a kit to plant fresh yummy herbs in the house. You can make your own kit by getting a bag of soil, some small containers with tray, and some seeds for herbs – I recommend chives, oregano, and basil, but get whatever you think is best. 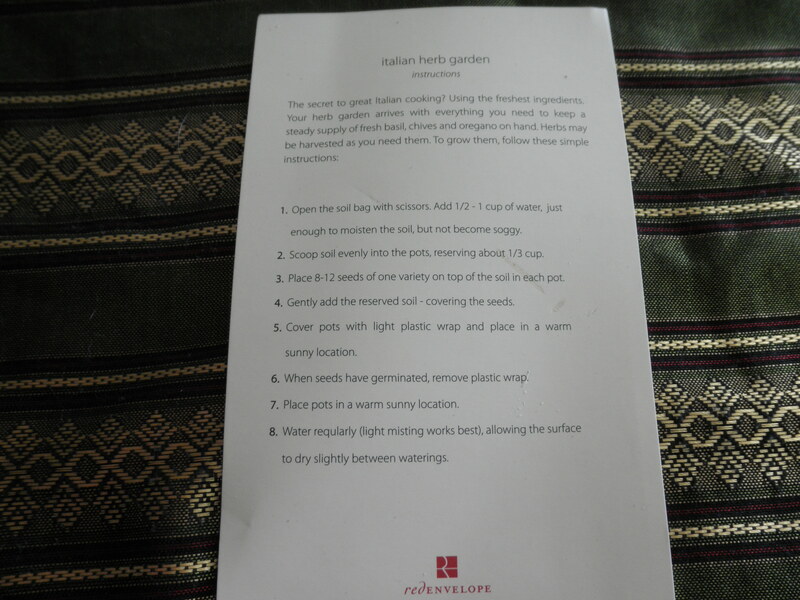 I’ll share the steps to planting your first garden. 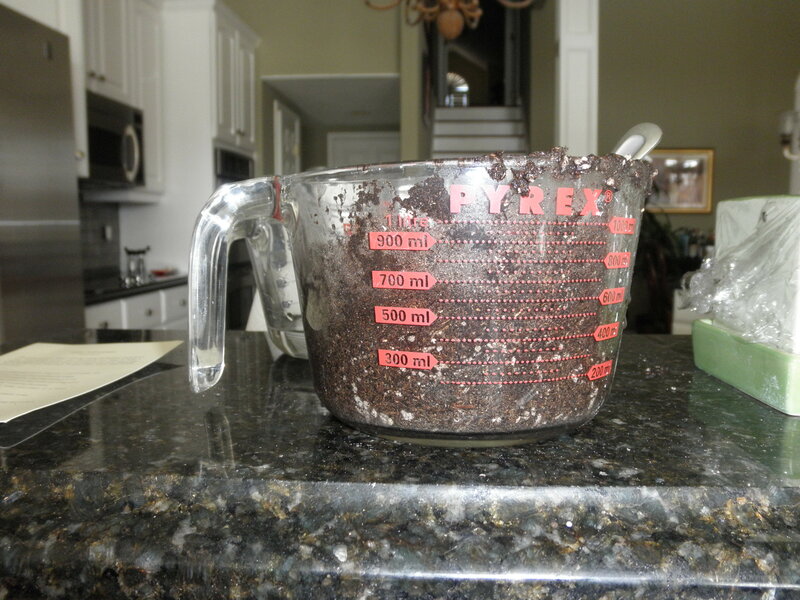 First, you moisten your soil and add to your pot (reserve about a 1/3 cup or about an inch worth of soil depending on the size of your container). Add about 10 or so seeds then cover with the reserved soil. 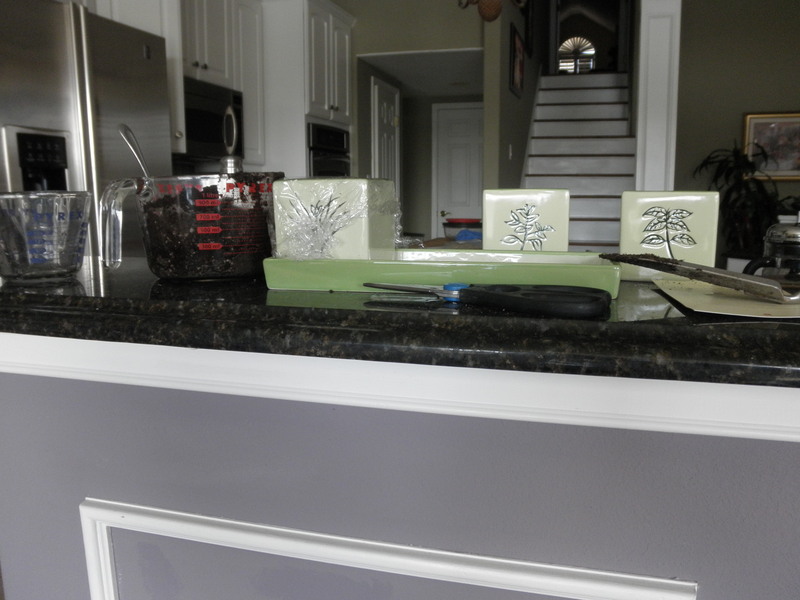 Cover the container with plastic wrap and then place in a sunny spot so it can germinate. After germination, remove the wrap and keep the plant moisten by misting occasionally. Be careful not to overwater. Here are the complete instructions that came with my kit which may help you further. Cool! I had no idea you can do this indoors. Keep us posted on their growth!